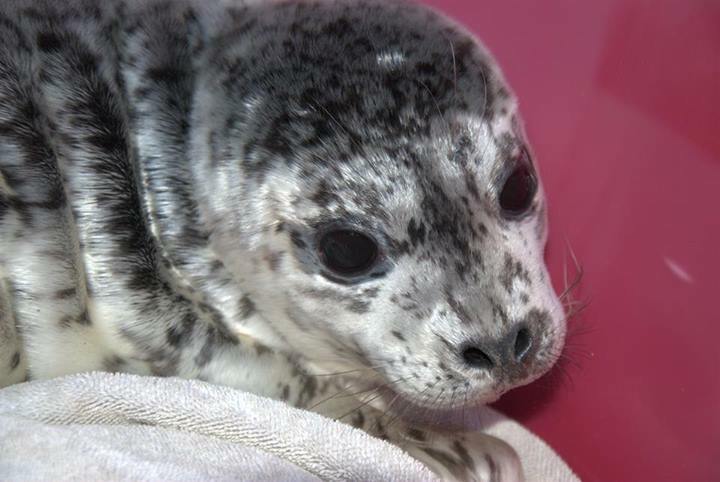 The first rescued seal pup this season on Gabriola occurred last night at Berry Point. A huge thank you to those that reported this seal pup. Let us introduce you to "Destiny's Child" (pups this years are named after famous musicians or bands). She is aprox. 10 days old and weighs only 14 lbs. (her weight should be 25-30 lbs at this stage). Destiny's Child is now at the Salt Spring Island Wildlife Natural Care Centre - Marine Mammal Rescue with a funny little attitude and a strong drive to survive.